May 31, 2014 was a special date set aside to host a wonderful annual celebration for a beautiful cause. The occasion benefited AIDS Outreach Center and those supporters and donors that lend their hand to make an impact on such a great cause. 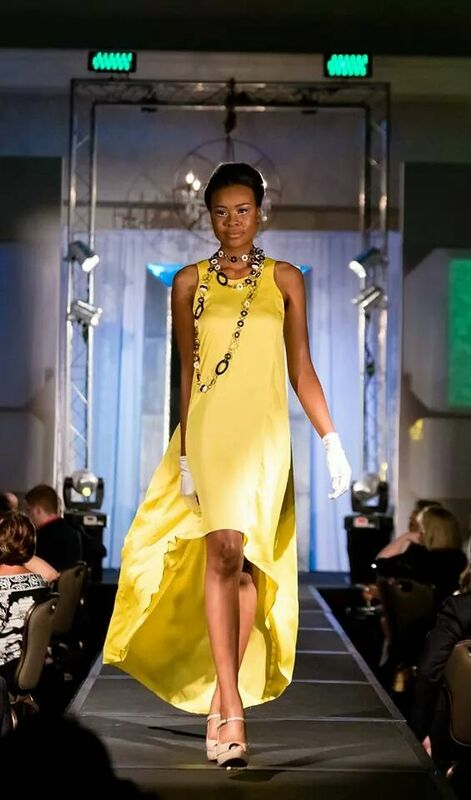 The evening offered a wonderful runway show featuring the brilliant designs of Geoffrey Henning. 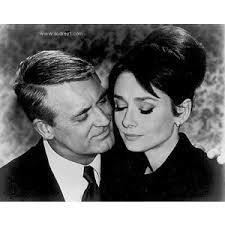 The mood was set to the tone of the daring 60’s. Geometry, fluid lines and flowy silhouettes were all the buzz. 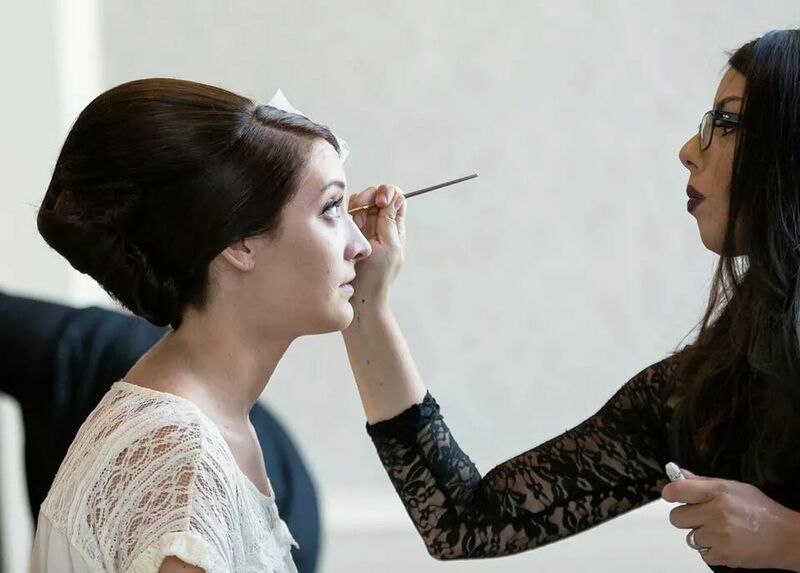 I had the honor of leading hairdressers backstage in creating the look for this night. 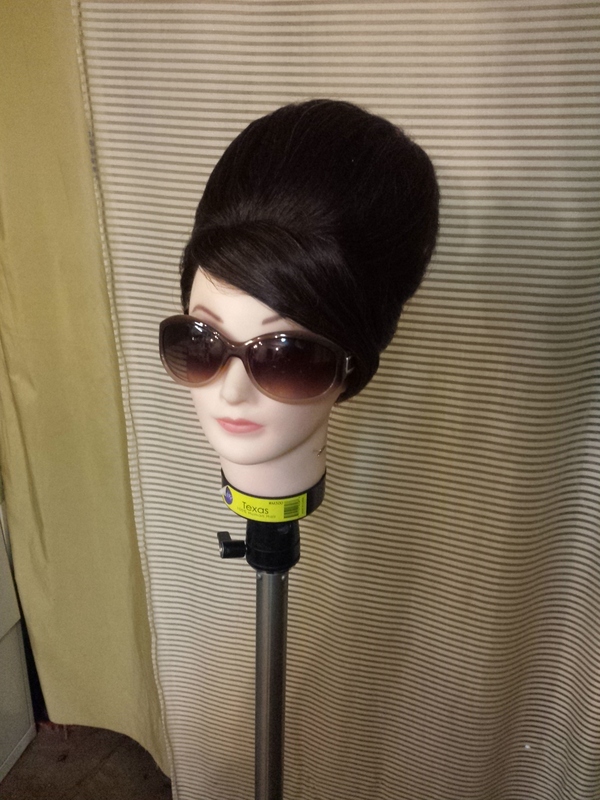 As a team, Juan Lerma of Amrel Styling and I conceived a look that would be true to the era yet modern. 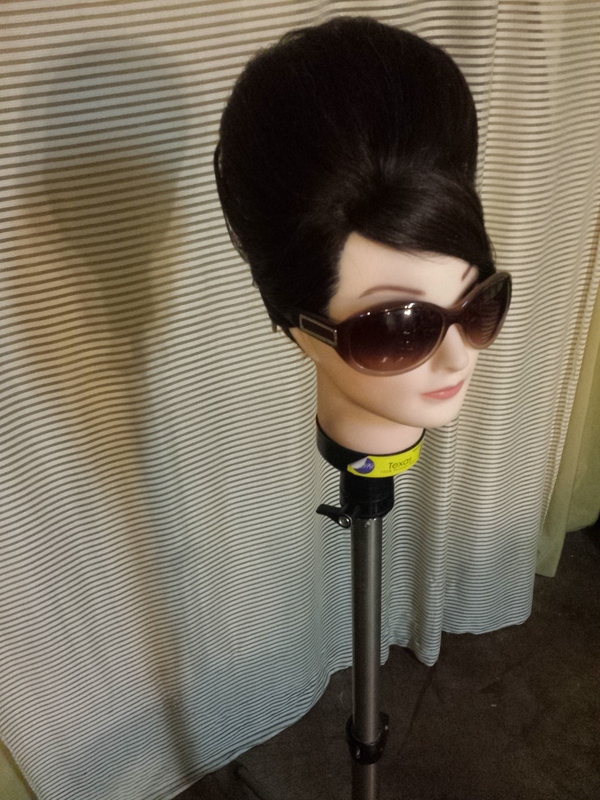 After a bit of brainstorming, we agreed to pay homage with an iconic bouffant. 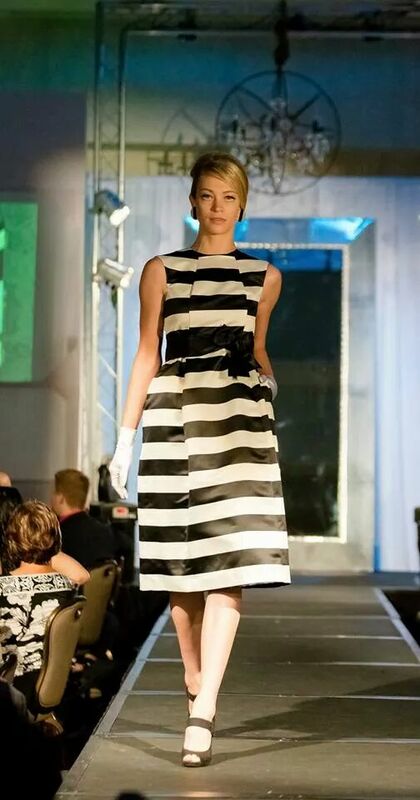 The look was to be replicated on 14 models provided by The Campbell Agency before being whisked to makeup for a bold and graphic mod eyeliner in black and white. 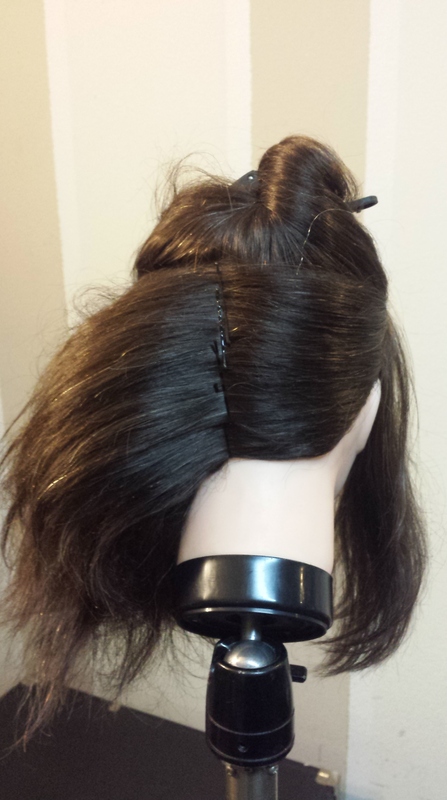 Usually, when I do a runway hair test, I like to practice ideas or techniques on a long hair mannequin before proceeding to a live model the day of the show. 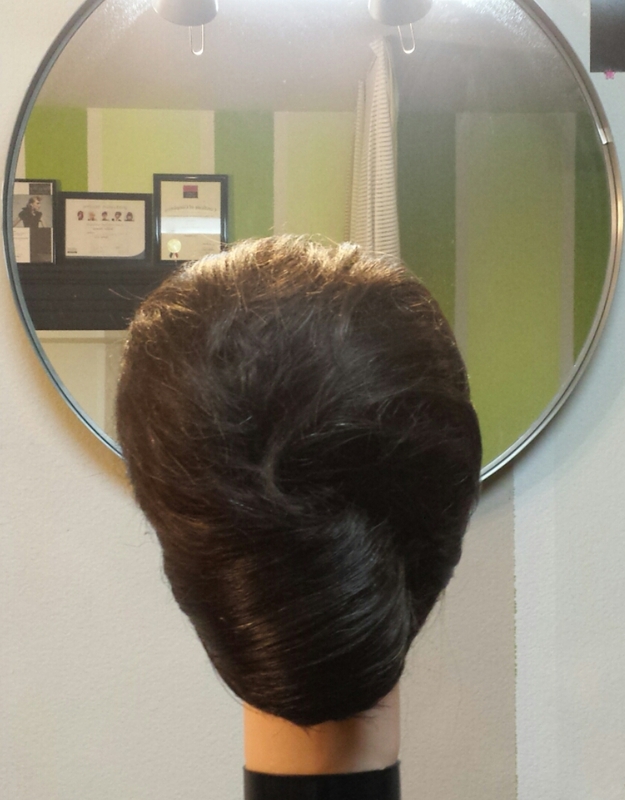 This is the finished look which consisted of a smooth French twist combined with a bouffant crown and a deep swooped side part. Follow the journey of how this look was created! When working with exaggerated silhouettes or bigger volumes, I like to use padding or “rats” as a foundation to the style to create density and use less back combing. 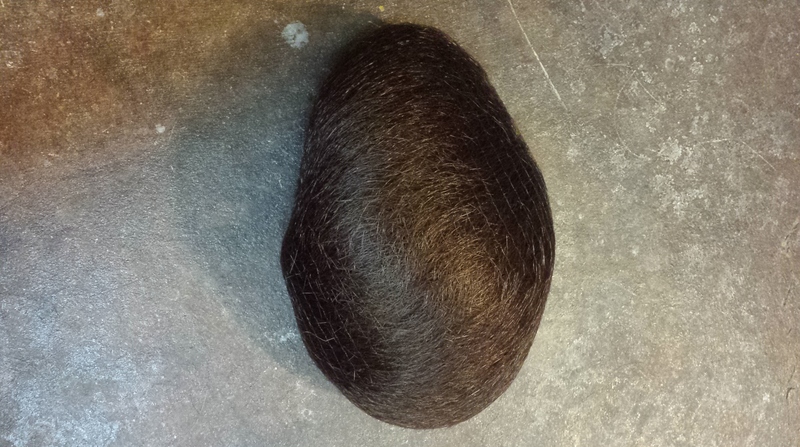 Hair padding this large can be difficult to find. Outfitting this many models can also add up in cost. So, naturally, I just make my own! 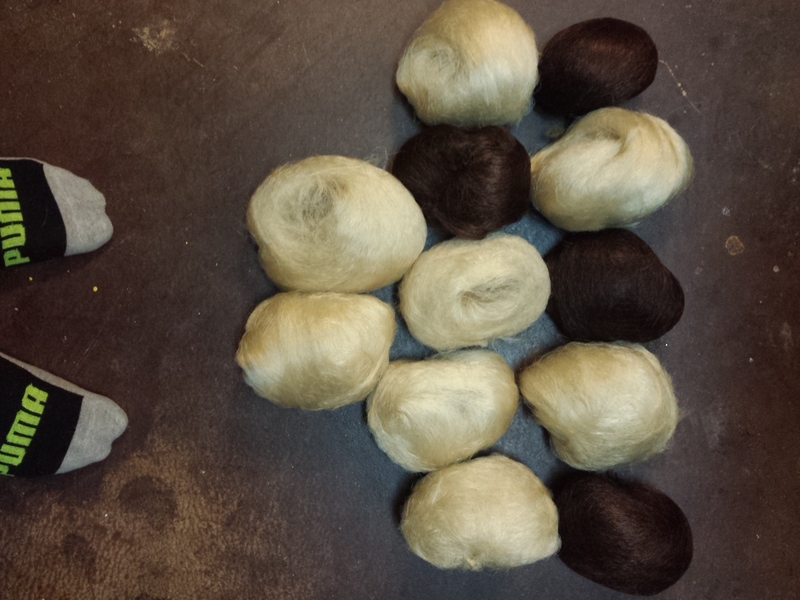 I always have Kanekalon fibers on hand in every color since they create a great filler. 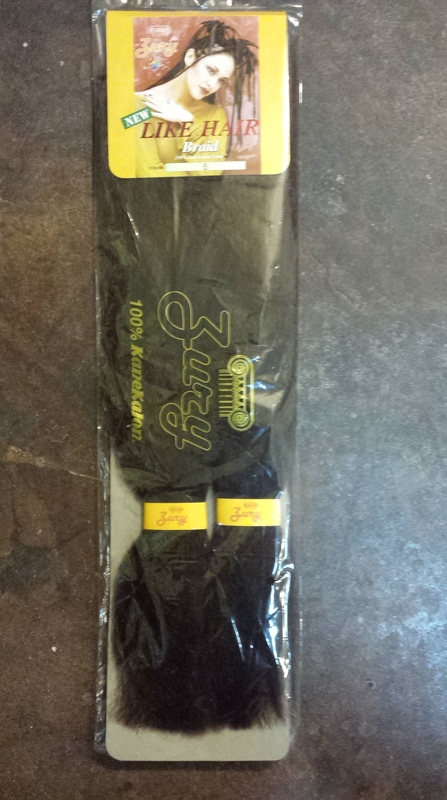 I always look for the brand Zury since I find that it is soft, matte, and malleable. You can find it at any beauty supply store and generally runs about $2.99 a bag. 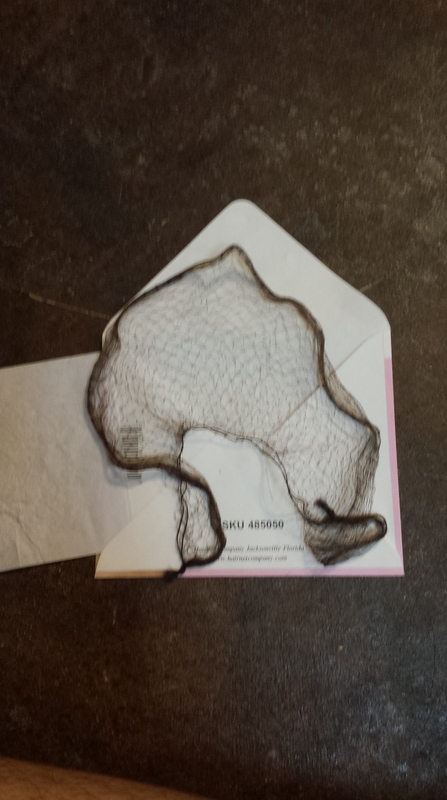 I also keep hair nets in stock for session styling and bridal work. 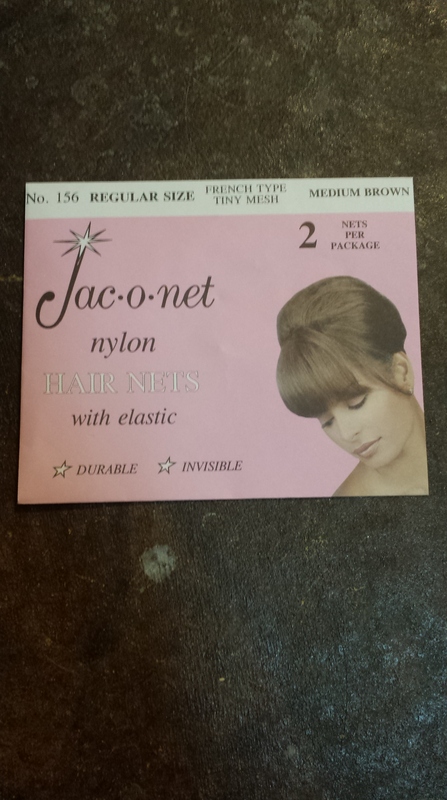 I particularly prefer the Jac-O-Net brand since it is sheer and strong. I also keep this in shades like blonde, light and dark brown, silver, white, and black. You can also find these at any beauty supply store and usually run about $.50 each. 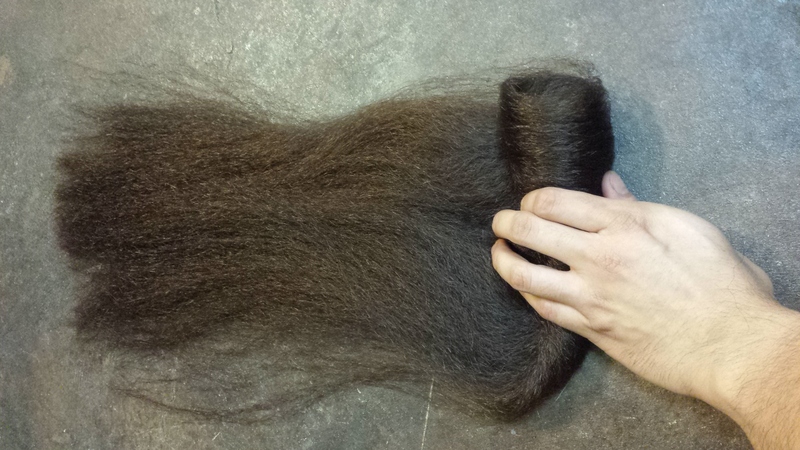 I cut the bundle of hair into 2 pieces for more control. Take one piece and roll it onto itself to create a little roll. 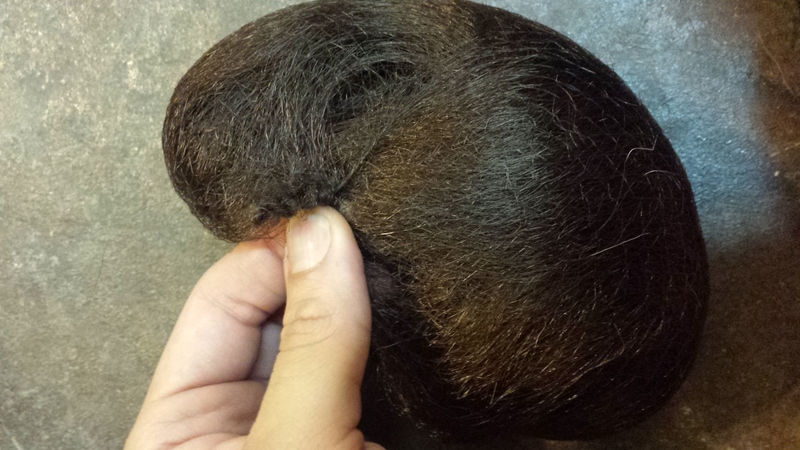 Next, I place the roll into a hair net and twist the ends to tighten them. This creates a little sealed pocket for the padding to sit in. 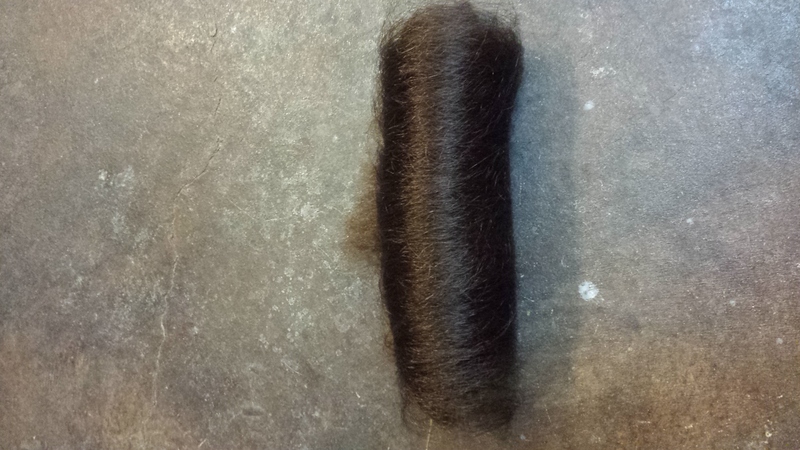 Pinch the ends and tuck them into the roll. I created several in different colors to match the model’s hair color. Hair that is smooth works best for this look. 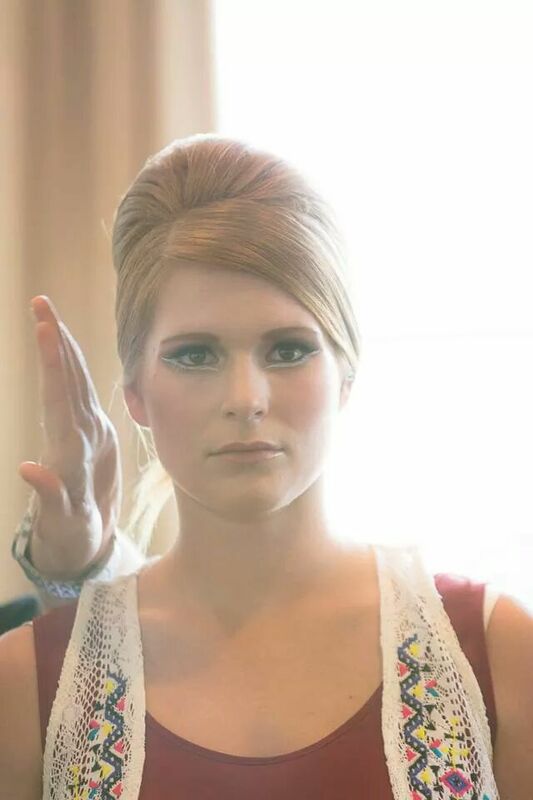 I prepped the hair using Kenra Professional Volume Styling Foam and Paul Mitchell Hot Off The Press to protect from the smoothing iron heat. Isolate a small triangle section at the front hairline measuring from temple to temple. 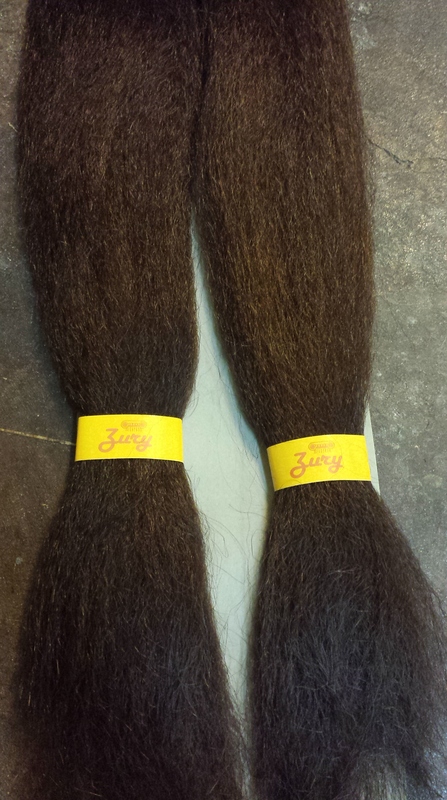 This will be your swoop fringe. Section the hair from ear to ear through the crown of the head. Isolate these 2 sections. Overdirect all of the bottom section to the left. Find the center of the head and pin in a straight line with your pins facing upwards. This will create a spine for support and avoid the pins slipping out. Now, take your padding and pin it vertically against the spine you have just created. Try to mold your padding onto the shape of the head and do not let it sit too low on the nape as it will show in the finished style. 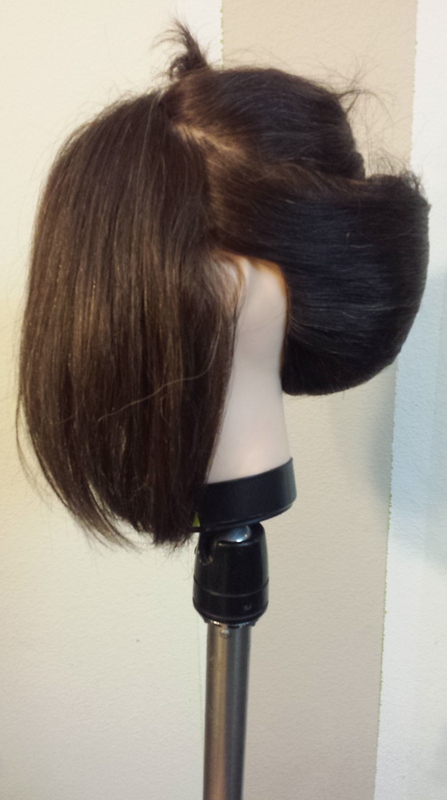 Now, overdirect all of the hair back to the right and cover the padding. 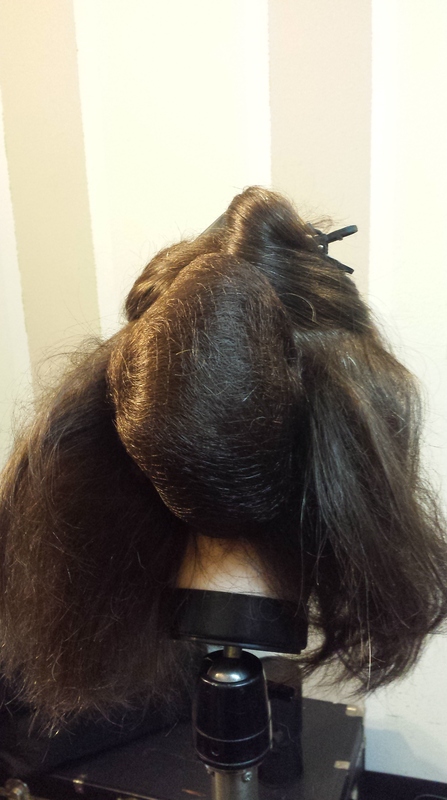 This will simulate a voluminous French Twist. Have loose ends? Tuck them into in the roll and padding. 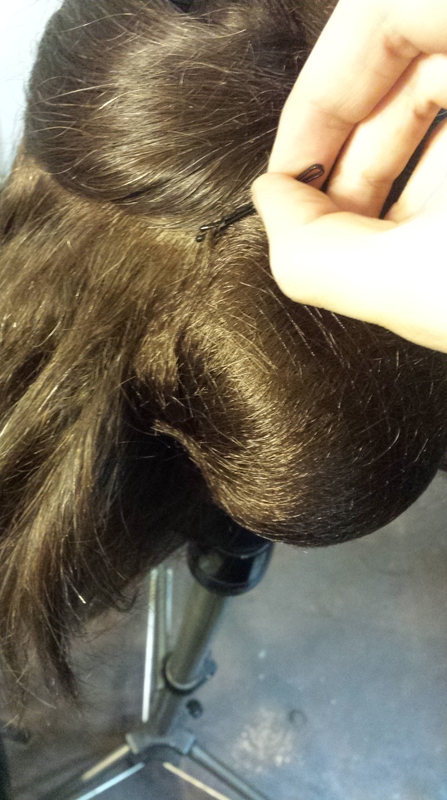 Lightly backcomb the crown area to create a bit of height. Secure another pad horizontally across the head. 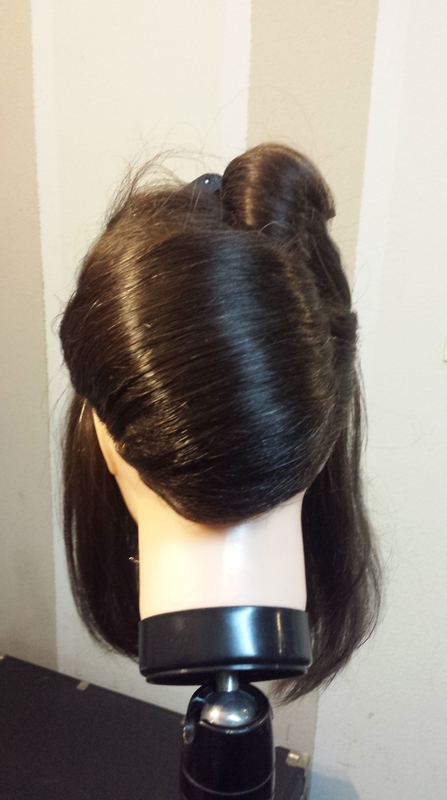 Now direct all of the top hair back and pin at the top of the French Twist. 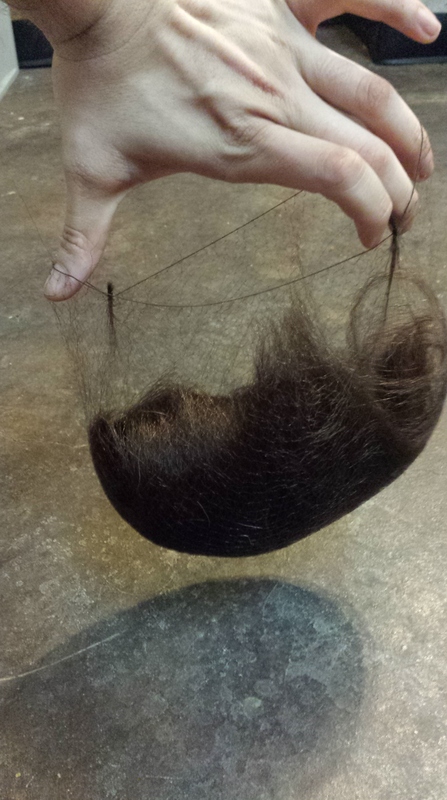 Make sure that all of the hair smooth. Check for balance, symmetry, and proportion. 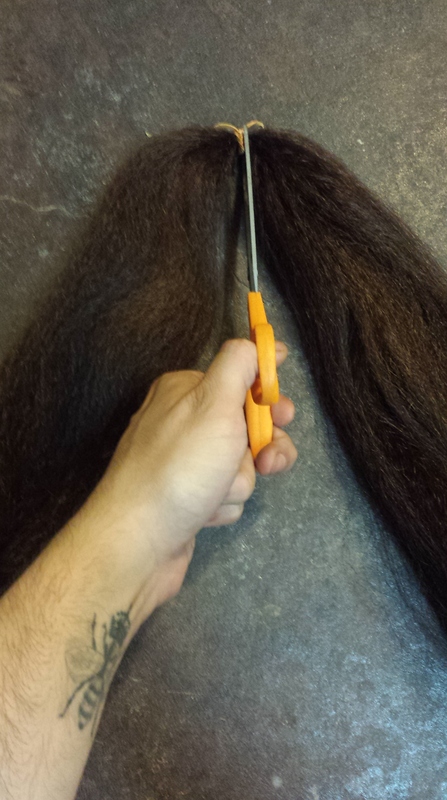 Release the front triangle section and smooth over with a smoothing iron in the way you would like the swoop to go in. 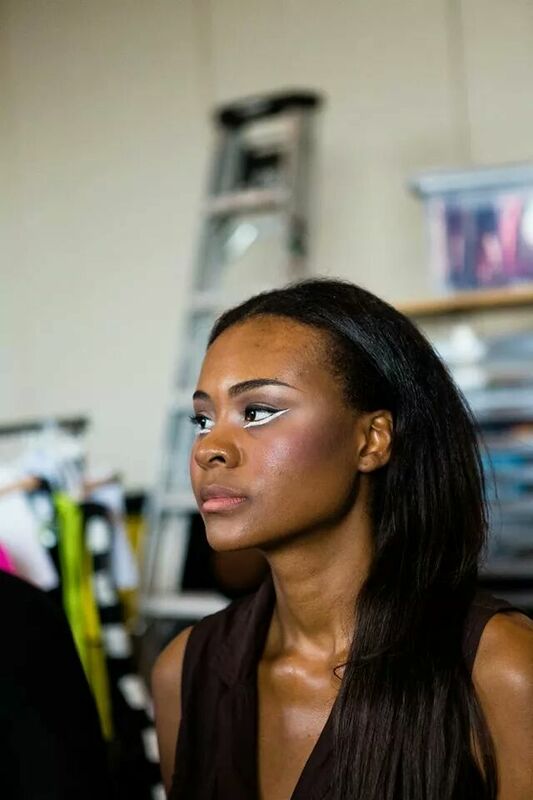 This look was more modern so the swoop sensually covered the eyebrow and part of the eye. 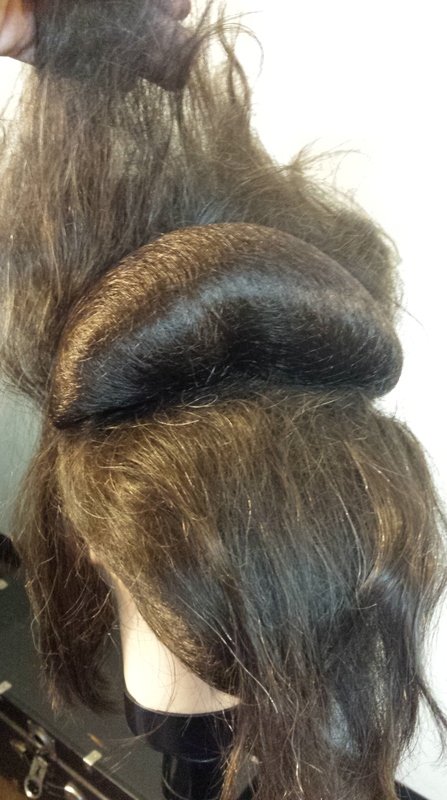 Part of the ear was covered as well and was pinned into the French Twist in the back. Once everything is in its place, mist with a finishing spray for hold. I used Kenra Professional #26 Finishing Spray. There you have it! I hope you try it on your next photo shoot or client.